HUGE PRICE REDUCTION!!! Rare opportunity to own "The Davenport" by Morrison Homes. This home comes furnished with stylish decor, curtains, blinds, and furnishings that are sure to impress. The interior of the home has upgrades that include: 42" maple cabinets, under cabinet lighting, granite in the kitchen, and sparkling stainless steel appliances. 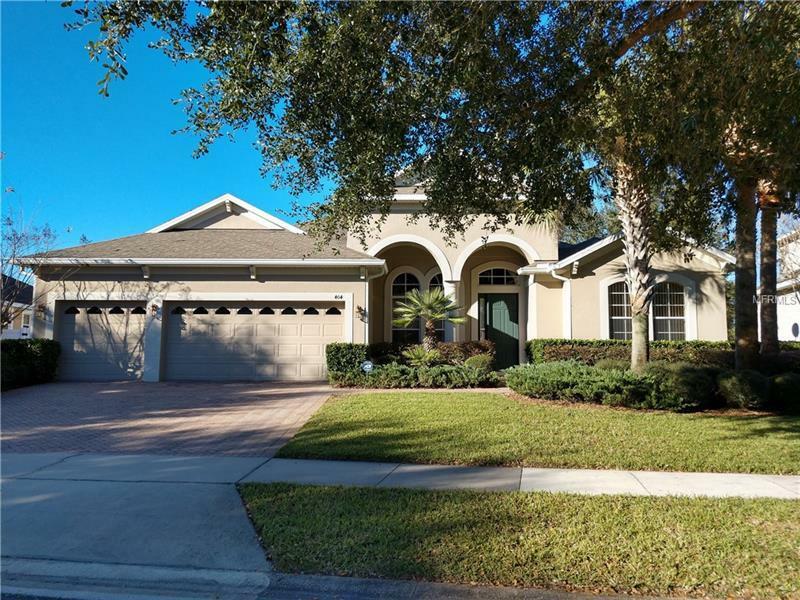 This is one of the few homes in Saddlebrook that comes with a screened, heated, salt water pool with a lovely pond view. And did I mention it has a 3 car garage? This home shows like a model, conveniently located and is near great schools. Don't miss out on your chance to call this one HOME!! !